GOODNESS! IT'S BEEN WAY WAY WAY TOO LONG, FRIENDS! How are you guys?! We got back from Florida last week and had a great trip with the boys! The week leading up to it we almost were thinking about cancelling it because the weather showed thunderstorms all day everyday, but we got so lucky and had gorgeous sunny weather the first 5 days and then our last day it did rain but it ended up working out because we needed to pack anyways! I plan to do a post about traveling with 2 toddlers and share my favorite pictures this week. 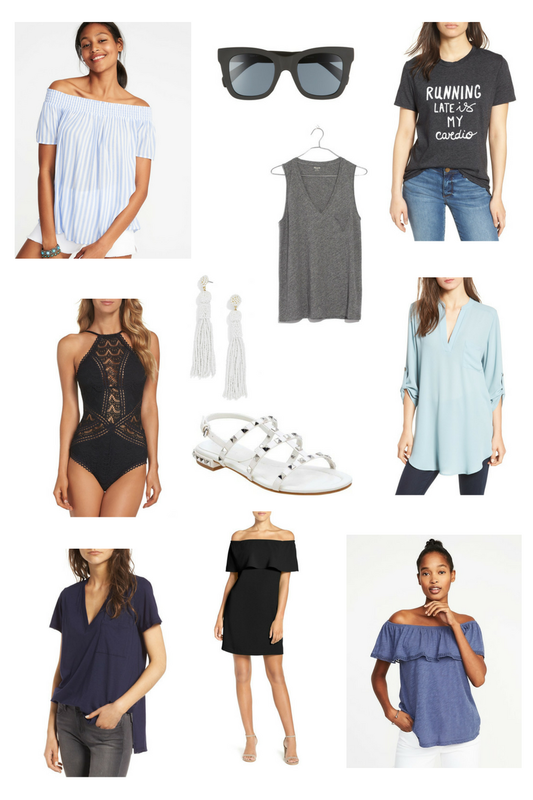 I got a bunch of questions about vacation outfits, and since I have found so many cute items recently (and very inexpensive ones!) I thought I would share my favorites that I've bought lately. Some of these were packed and worn on our trip, just didn't make it into pictures! Who else is watching the Bachelorette? I'm really into it this year because I adore Becca! Who are your favorite guys on her season so far? I will take one of each please! lol That swimsuit is to die for! I don't think I have a favorite yet! The only ones that stand out are the goofy ones, lol.